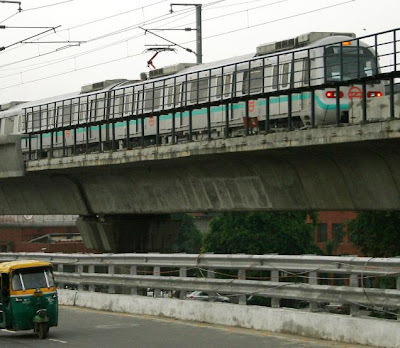 An increasing insurgency of commuters, lack of discipline, mob tendency, slackening administration and the chinks in DMRC’s armour is gradually more than visible. Now we find paan stains on the platforms, food morsels scattered at times inside the boggy, some of the older trains screeching to a halt whenever brakes applied and a cacophony of creeks and crunchy karaoke following the movement of the trains – a manifest of poor or slap shod maintenance and management. Quite frequently the trains get delayed during peak office hours. The reason supplied – technical fault – an all embracing term which can mean anything……..an actual technical snag, bomb threat, terrorist attack, though its obvious that the latter causes shall never get announced for the purpose of civil security and an effort not to create panic amongst the passengers. But we live in turbulent times and these thoughts always play at the back of one’s mind, especially after 26/11, whenever one is stranded in the underground/overhead metro station. It does with me and so it must be with others. One explanation of the mob behaviour! No wonder then the stampede like situations which often transpire upon such delays. The crowd of well dressed men and women suddenly behaving like chaotic mob when a train arrives much after the scheduled time. On one such occasion, it seemed as though they were ready to hop on the roof of the train. The doors closed with great difficulty as more and more people tried to board in as though it was the last train on the face of this earth. Earlier on one or two occasions, DMRC personnel themselves came down to the platform to manage the restless crowd. Now, no more, though of course there are continuous announcements informing the cause of delay and assuring that trains will follow one after the other, earlier than scheduled, to make up for the lost time, which they do. But still the panic ridden crowd upholds indiscipline and disorder when it comes to such a situation. Once, one of the guards who was supposed to manage the crowd was pushed inside the train by the mob. God knows which station he ultimately got a chance to de-board the train! One distinct disadvantage of the metro is that it is linear in route. There is no emergency line or parallel route that can be opted to reach destinations in exigency. Therefore, if you are stuck in a station or on the tracks (of course, no system can do anything about that! ), you are stuck forever till the cause of disruption is remedied. 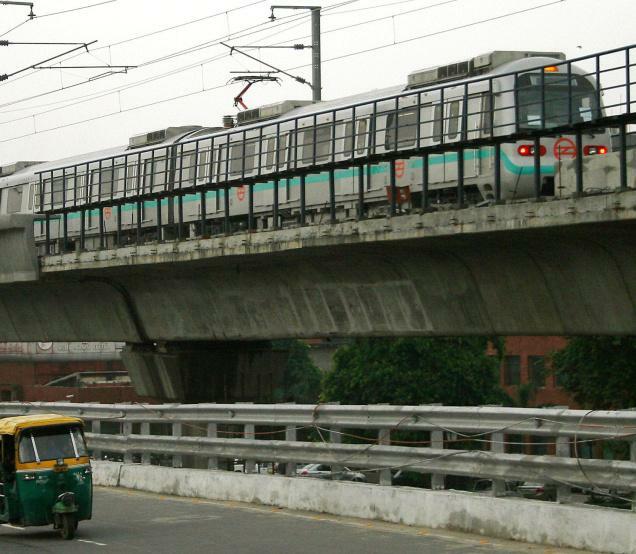 In Kolkata there is circular rail and local trains. In Mumbai, again there is an exemplary system of local trains. But the capital is handicapped by the absence of any such alternatives. Hence, the panic…the stampede….the mob….the restlessness……..the annoyance………the impatience………the indiscipline…….the disorder…….the chaos………the confusion…..which alter the profile of an upbeat system in a jiffy. After 26/11, fear ruled high, more so in the metro. It was customary for us to check under the seats and around if there was any disowned object or baggage lying unclaimed. On one such occasion, my feet got caught in a huge thick, cloth bag under the seat which felt odd to the touch as though full of heavy, metallic things with perhaps jagged ends. A few school and college going boys were standing around. I asked whether the bag belonged to any one of them. One boy retorted back with a mischievous grin, “Aunty, it’s my cricket kit and not a bomb.” I smiled. For quite some time such dark humour prevailed. People mocked their own fears and insecurities and laughed aloud at such “bomb scare” jokes. These were not instances of just blithe humour or blissful ignorance but inklings of a more dangerous resignation wherein the common man had come to term with the transience of life and accepted quietly their limited role of being mere pawns in the high powered Machiavellian political game - role that of nameless martyrs fated to meet unexpected, untimely, violent ends whenever that be pounced on them unaware.